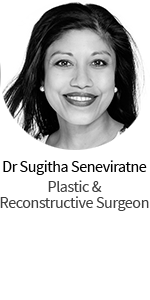 A Chin Implant or chin augmentation is a surgical procedure to change the shape of the chin to project a well-proportioned facial appearance. A chin that is not proportionate to the nose, such as a recessed chin is called as “weak” chin. 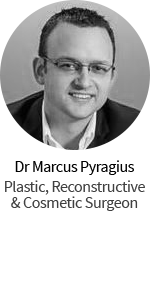 Therefore, a rhinoplasty may also be recommended to those having a chin implant in order to achieve a balanced facial appearance. There are three types of chin implants: anatomic, extended, and mild square jaw. A chin implant may be done under local or general anaesthesia, and sedation. It is generally performed as a day procedure. After administering the anaesthesia, the surgeon will create an incision under the natural crease of the chin or inside the mouth. Since the incision heals very well, scarring is unlikely to occur. Over the chin bone, a small space will be created where the anatomical shaped implant will be inserted. Q. How will I be expected to feel during recovery? A. There is often a feeling of a tight sensation, however, this seldom occurs and usually passes quickly. There may also be some swelling that can last up to six weeks. A. One may go back to his/her normal work within 7 to 10 days. However, it is not advised for the patient to engage in contact sports. Q. What are important precautions I should know in having a chin implant? A. Refrain from any food supplements/vitamins and blood thinning medications for 2 weeks before and 1 week after the chin implant procedure. Q. Who is a good candidate for a chin implant? A. Those who have poor chin projection, protruding nose, and disproportioned facial features are ideal candidates for chin implant. Q. Who should not consider having chin implant? A. Not all should undergo a chin implant surgery, namely those with major facial skeletal irregularities, those with asymmetries and deficiencies in their lower jawlines, those with unrealistic expectations, and those who need major orthodontic work. Hi there, I’m actually looking to forward some photos of my face to see if an extended anatomical implant would be better on me than an anatomical implant (without wings)? Please advise if I can do this. Thanks!